A.F. 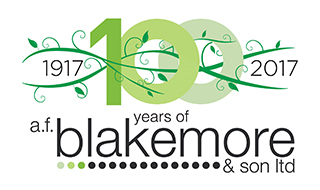 Blakemore & Son Ltd - a family business specialising in food & drink retail and wholesale distribution. With more than 290 SPAR stores located across England and Wales, Blakemore Retail is the UK's leading independent convenience store operator. In addition to a modern convenience offering, Blakemore Retail stores provide a range of Post Office and community services. The business also works in partnership with leading food-to-go brands Subway, Greggs and Costa. Blakemore Trade Partners is recognised for innovative and sector-leading partnerships across SPAR UK's largest guild of retailers, the Meridian & Welsh Guild. The division provides trading, marketing and sales support to more than 1,000 SPAR stores across England and Wales, both independent and Blakemore Retail. Blakemore Logistics is a sector-leading food distribution operation that supplies SPAR stores across SPAR UK's Meridian & Welsh Guild area. 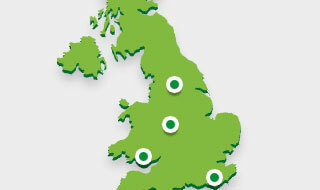 The division's distribution network spans across Wales to the east coast of England, reaching as far north as North Yorkshire and as far south as Kent and Sussex. Blakemore Wholesale Distribution is one of the UK's leading delivered wholesalers, specialising in bespoke distribution solutions. The business has a diverse range of customers, including multiple and independent retailers, forecourt operators, vending operators, fellow wholesalers and education, leisure and hospitality sites. Blakemore Foodservice is one of the UK's largest suppliers of catering products to the public, multiple and free-trade sectors. The business has a nationwide customer base that includes public houses, restaurant chains, the leisure industry, schools and professional caterers amongst many. Blakemore Fresh Foods is an international meat trading, wholesaling and manufacturing business that supplies the retail, food service and wholesale sectors. The division specialises in a massive range of imported and exported meat, providing a one-stop shop for meat traders, wholesalers, manufacturers and butchers across the UK and Europe. Blakemore Design & Shopfitting is A.F. Blakemore's shop fitting division, specialising in bespoke, innovative and modern store design and refurbishment solutions for convenience retailers. The business provides tailor-made solutions to suit every budget, from the most basic works to a comprehensive, floor-to-ceiling refurbishment. Blakemore Fine Foods is a purveyor of speciality and fine food products from the UK and the rest of the world. The division's customers include a wide range of farm shops, delis, cafes, restaurants, hotels, garden centres and convenience stores.